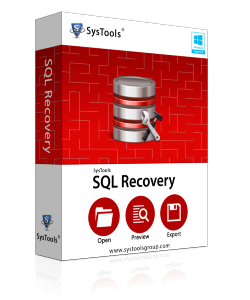 The SQL Recovery tool is very useful to recover all the components of SQL Database including the tables , stored procedures , functions , views , triggers and associated keys. The tool can be used to recover the primary as well as the secondary databases i.e the MDF files and the NDF files. It will scan both the files and recover the deleted table's data. Using SQL Recovery tool , you can not only recovery SQL Server 2014 database but also export it into the SQL Server Database. The database can be recovered even if the corresponding tables consist of user defined schemas. Tghe Database tables with standard and user defined schemas are exportable. The software is able to preview all the scanned and recovered database items like tables , columns , keys , triggers , functions in its inbuilt viewer. If you export files to SQL server Scripts , a .sql file is created which can be used on any machine to restore data on any SQL Server. The SQL Recovery Tool can be used in case if yopu have created column and variables of the XML type or have XML documnets on a SQL Server Database. The tool allows you to export the database with only the schema or both the schema and the data. Have you met with SQL Error 8941 in SQL Server 2000? Are you unable to make you real cause for this error? Do you want SQL recovery software to overcome problems due to SQL Error 8941? Why SQL Error 8941 Appear? The slot specified has an invalid offset (ADDRESS) in the page, according to the slot array. Hardware Failure Issue: There might be Hardware Failure so run hardware diagnostics and try to solve the problem. Also, you can analyze the Microsoft® Windows NT® system and check out if error has occurred because of hardware failure. So, you can fix if hardware problems are there. Restore Data Backup: Try to restore data from backup. In case, hardware related problem is not there then, use safe backup data and restore database from that backup only. Check the Cause of Error with ‘DBCC CHECKDB’: To check the major cause and extent of corruption use ‘DBCC CHECKDB’ with a repair clause. It will help to acknowledge corruption. How to Recover Corrupt SQL Database? In order to fix SQL Error 8941, Use SQL Recovery software from that will help you to recover SQL Server database. This external tool is an answer for query like ‘How to Open SQL Database. Employing high result yielding techniques like QDRT (Quick Data Recovery Technology) and FHCR (Fast Hardware Component Recognition), you will be able to recover SQL data base not only after this error but other errors too. You can purchase the utility to fix SQL error 8941 for just $129 for personal license. How to load the Saved Scanned File? The scanned file is saved in the .str format. To load the file , Go to Load option and open the STR File. 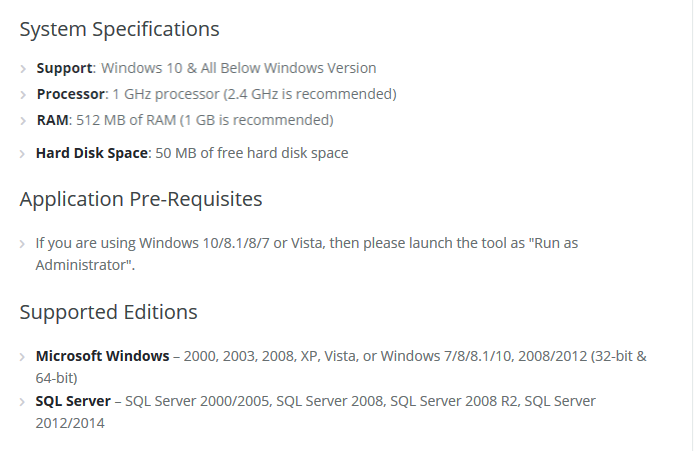 Is Live SQL Server required in order to use this tool? No , the SQL Recovery Tool can scan your MDF file even without the SQL Server Environment installed on your machine. No, the software allows you to scan a single BKF file at a time. So they can only be recovered one by one. How to restore the Recoverd File on my SQL Server? The files can be exported directly to the SQL Server Database. I am very much impressed with the accuracy and speed of the SQLREcovery Software. Using the software, I was able to quickly restore data from MDF file. I had accidentaly deleted various rows of multiple tables from my database. I did not have any backup of the deleted database. Using the SQL Recovery Software , I was able to restore entire database.